In our increasingly intrusive electronic culture, how do we delineate the boundary between public and private? “Surveillance Landscapes” is a body of work that interrogates how surveillance technology has changed our relationship to—and understanding of—landscape and place. To produce this work, I hack into surveillance cameras, public webcams, and CCTV feeds in pursuit of the “classical” picturesque landscape. The resulting visual prodAuct becomes dislocated from its automated origins and leads to an investigation of land, borders, and power. The very act of surveying a site through these photographic systems implies a dominating relationship between man and place. Ultimately, I hope to undermine these schemes of social control through these photographs—found while exploiting the technological mechanisms of power in our surveillance society. photographic technology has changed our relationship to the natural world. 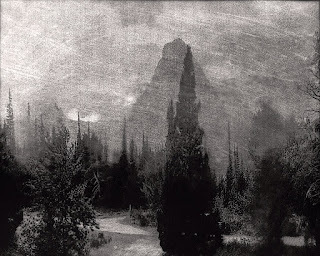 DeSieno often combines antiquated and obsolescent photographic processes with contemporary imaging technologies to engage in a critical dialog on the evolution of the photographic medium in relation to seeing. He received his MFA in Studio Art from the University of South Florida and is currently the Visiting Professor of Photography at Marlboro College in Marlboro, Vermont. DeSieno's work has been exhibited nationally at The Center for Fine Art Photography, the Fort Wayne Museum of Art, The Light Factory, Candela Gallery, Rayko Photo Center, The Center for Photography at Woodstock, and various other galleries and museums. His work has also been featured in a variety of publications including FeatureShoot, GUP Magazine, Hyperallergic, Huffington Post, National Geographic's Proof, PDN, Slate, Smithsonian Magazine, and Wired. DeSieno was recently named a selection for Photolucida's Critical Mass 50 and an Emerging Talent by Lensculture for 2016.